Newly acquired science fiction titles provide a rich cornucopia of titles and authors from established award winning favourites like Stephen R. Lawhead, Joanne Harris and Catherynne M. Valente, to critically acclaimed works like Jeff VanderMeer’s Annihilation (reissued to tie in with the recent movie). The icing on top of the cake for many will be the welcome rerelease of George R R Martin’s Nightflyers, again to tie in with a major new television series. So much to enjoy, so little time! 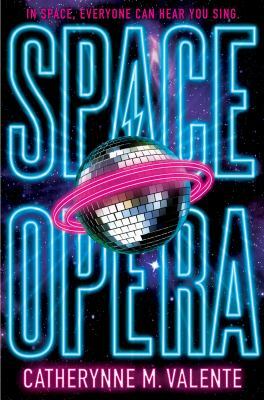 Space opera / Valente, Catherynne M.
“Featuring fifteen original full-color illustrations, this is the definitive edition of an electrifying tale that combines the deep-space thrills of Alien, the psychological horror of The Shining, and, of course, the inimitable vision of George R. R. Martin. Next Post Amazing new CDs including box-sets and more!